ECS Business Services specializes in auditing water, sewer, gas, electric, trash, and telecom bills, and other monthly fixed costs--monthly client service contracts (air conditioning and elevator for example), insurance, credit card and payroll processing--in order to find errors and overcharges made by the companies who service our clients. Once these errors are located, our staff of experienced analysts work to obtain refund checks for ourclients made by the companies who service our clients. We also provide clients with cost-saving options--cost recovery and vendor contract management-- that reduce their fixed monthly expenditures. Clients are not charged unless we save them money! We are committed to help our clients save and succeed by reducing their monthly business operating costs. 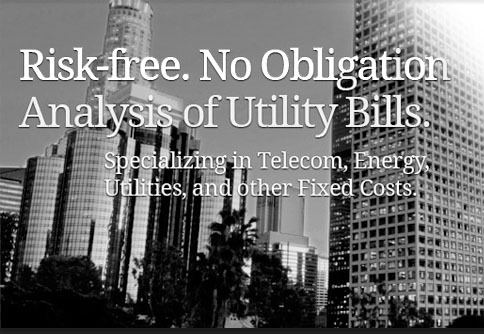 Our professional consultants have experience and knowledge of utilities, connectivity (Telecom, Internet and Cell Phone), waste and recycling, insurance, security and other industries that enable us to create substantial cost savings for our clients. Our consultants work on your behalf as an objective third party providing you the best possible pricing to help reduce your business costs. While based in Miami, Florida, ECS Business Services provides business utility auditing services for clients nationwide. Our clients include hotels, hospitals, non-profit organizations and businesses of all sizes. No commercial or industrial account is too large or too small. ECS Business Services leverages our knowledge of the latest technologies and alternatives to identify areas where cost-efficiency can be improved, excesses eliminated and efficiencies achieved within our clients existing business processes. During our business utility auditing process, we are often able to recover retroactive refunds for companies that have been charged incorrect rates or tariffs. With utility cost spiraling out of control, our utility auditing services help clients control costs and possibly recover fees they've paid in the past. ECS Business Services can help you determine how much you're being overcharged and help you save your business money. It doesn’t matter whether your company is a retail chain, bank, government agency, school, restaurant, supermarket or a Fortune 500 company, our experienced staff and nationwide resources can help. And since our services are paid for under a contingency-fee arrangement, our clients know they pay nothing unless we save them money. If you are looking for cost-saving opportunities for your business, contact ECS Business Services. One of our biggest advantages as a utility auditing company is the depth of knowledge and experience available to our clients. With decades of extensive business experience in diverse industries, ECS Business Services is can provide detailed utility auditing services for a large variety of businesses. And with our unique knowledge of hotels, resorts, security guard companies, telecommunications, and property management companies, we are able to address key concerns within those industries that other utility auditing companies may not be aware of. Our management staff works closely with each client to ensure the highest level of service and to offer their experience and expertise to each project. Michael has 30 years of experience in the hotel industry, both in management and as an owner. Michael is uniquely suited as a business consultant, with a law degree from the University of Miami, experience as a franchisee and extensive business background. He created ECS as a culmination of his years in management directing his own businesses and constantly working to contain expenses. Michael can frequently be found ‘in the field’ visiting clients, conducting field audits and analysing the complex water, power and air conditioning layouts, with our client’s engineers. In his hotels, he prided himself on knowing what each pipe, hose and duct throughout the building, was for and where it went. Michael grew up in New York and still maintains an allegiance to the Yankees, Giants and Rangers. He enjoys travel, tracking hurricanes, and spending time with his wife, children and many grandchildren. ECS Business Services is a service optimization company that works hard to find our clients substantial savings in their monthly fixed expenditures. Our experienced staff analyse these expenditures and find opportunities for cost reduction as well as over-billing, unnecessary billing, incorrect rates/tariffs, accounting errors or redundancies and a variety of other cost saving opportunities. Knowledge — we deliver a complete network of service experts to your doorstep which can be accessed at any time by you. I highly recommend ECS Business Services. I was astounded by the savings ECS found especially in light of the fact that I consider myself to be extremely diligent in the management of our properties and carefully review every invoice. When Michael contacted me about the possibility of saving money on our utility bills, on a commission basis, I was happy to sign up. I expected they might find a few dollars of savings in gas or telephone service. The savings ECS found ended up being far above what I ever thought possible. Just as impressive are the phone calls from Michael to discuss other money-saving options, long after I followed his recommendations. ECS does what they say, and more. They actually continue to follow my bills and continue to search for ways to save my money. My only regret is that I did not begin with ECS years ago. ECS Business Services is truly a professional and experienced cost containment company. ECS monitors our bills monthly and verifies their accuracy. Many times ECS has identified billing errors with our vendors and immediately notified me and the vendor, and made sure we received the appropriate credits. 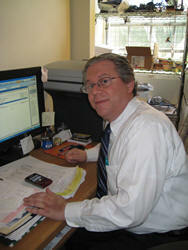 Michel Lefkowitz, President of ECS Business Services, is always available to handle any and all types of issues. His expert staff of auditors has saved our Association over $25,000.00 per year in waste disposal charges; $20,000.00 per year in water/sewer charges; and over $5,000.00 a year on our natural gas charges. I highly recommend Michael and his firm, ECS Business Services. We only pay ECS on a shared savings plan. I would certainly retain . ECS Business Services has made it possible for us to survive these terrible economic times. As a small business, we were desperately searching for ways to reduce our expenses, in order to continue operating. Thanks to ECS, we were able to cut almost all of our fixed costs. They found us better deals and managed all our vendor agreements: insurance, trash collection, credit card processing, payroll processing and utilities (telecom, gas, electric, and water/sewer). It has been a pleasure working with Michael and his staff. They processed all of our bills and examined our contracts in a very short time and have continued to review our bills since then. I am very happy to recommend ECS. With 26 locations and a lot to keep track of, we had tried to find savings in our utilities on prior occasions without achieving success. When ECS reached out to us presenting their contingency model, we took advantage of this no risk, no obligation option. ECS works on a savings model. When savings are realized then we compensate them a percentage of the money that was rightfully ours. If no savings are found, they do not charge for their time. I was pleasantly surprised when ECS found us a realized savings consisting of a refund over $200k, as well as, an almost 8% savings on recurring months bills. In addition to the clear financial gain, we also took note of the time savings in allowing ECS to take charge of this monumental time consuming project. Furthermore, not only did Gavi, Michael, Joe, and Samuel pay great attention to detail, the ECS team was very professional, available, and pleasant to deal with. Without hesitation, I highly recommend ECS Business Services to any entity that has a desire to increase its bottom line. Admittedly when Michael Lefkowitz, President of ECS Business Services approached me to review our utility expenses I was very hesitant and suspect of the entire process. But, having read recent reports that utility bills are indecipherable and that almost 70% of all utility bills are erroneous I decided to give ECS serious consideration. What really closed the deal for me was their compensation model. No fees were to be payable to ECS unless I received actual money in my pocket. Further, ECS guaranteed that every cost savings strategy they offered to me would yield positive financial results–otherwise they would pay me. ECS has saved The Ramada over $36,000.00/year on our water and sewer bills; has obtained a refund of over $80,000.00 from our electricity vendor, and has delivered savings every month on our electric bills–almost $50,000.00/year. I am very, very satisfied not only with their results, but their professionalism. I highly recommend the no risk services of ECS Business Services to anyone who is serious about saving money. It is my pleasure to recommend ECS Business Services. Thanks to ECS, West Gables Rehab Hospital has saved almost $40,000 per year, with absolutely no cash outlay. This was far beyond our expectations when we signed the contract with ECS. Our Electric bills have decreased by $10,000 per year, over 5% savings. Natural gas bills have been reduced by $6,000 per year, over 28% savings, and our waste disposal has been reduced by $18,000 per year which amounts to over 30% savings. All of these amounts continue to accrue and our savings continue to increase. In addition, ECS was able to acquire for us, a $14,000 refund on our bio-waste bills, plus savings of $4,800 per year. The reduction of bio-waste billing continues. As president of Mimosa Condominium I am happy to recommend ECS Business Services. They have found many ways to save The Mimosa funds on our utility bills.